Sony Pictures Entertainment objected Wednesday to a New York Times story that suggested the studio "softened" an upcoming movie about concussions in the NFL. A spokesperson for Sony Pictures said that both the article and headline of the Times story were "written by individuals who have not seen the film," and that the piece "contains many misleading inferences." The story, written by Times reporter Ken Belson and published on page one in Wednesday's edition of the paper, centered around emails posted by hackers showing Sony executives raising concerns about the movie "Concussion." 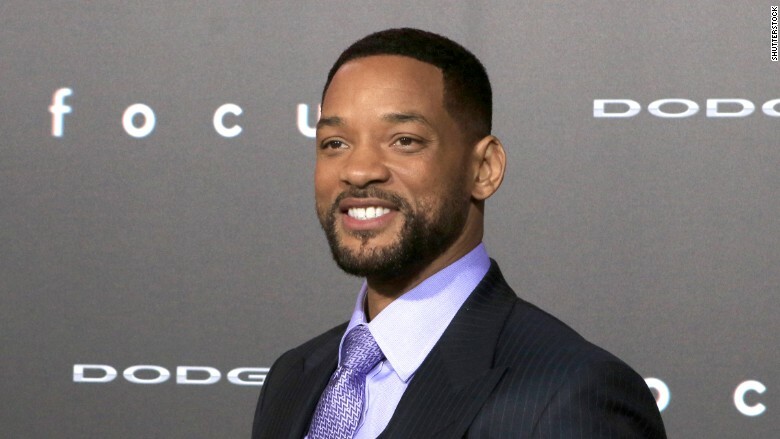 The movie, which is due out in December, stars Will Smith in the role of Dr. Bennet Omalu, a forensic pathologist whose autopsy of a former NFL player led to the discovery of chronic traumatic encephalopathy, or C.T.E. Former NFL superstars Junior Seau and Dave Duerson were among the most notable players who have been diagnosed with the condition after their deaths. In one of the emails published by the Times, Dwight Caines, the president of domestic marketing at Sony Pictures, told several Sony executives of a plan to "develop messaging with the help of NFL consultant to ensure that we are telling a dramatic story and not kicking the hornet's nest." The Times said that a Sony spokesperson reached out after the article was published clarifying that the consultant was not a league employee, but rather someone hired to "deal with the NFL." According to the Times, another email said that some "unflattering moments for the NFL" had been cut or altered. Peter Landesman, the director of "Concussion," acknowledged to the Times that some scenes were removed, but said those edits were done to improve the film. In the statement Wednesday, the Sony Pictures spokesperson dismissed the notion that the movie had been defanged in any way. "As will become immediately clear to anyone actually seeing the movie, nothing with regard to this important story has been 'softened' to placate anyone," the spokesperson said. In response to Sony's criticism, a Times spokesperson said, "We'll let the emails written by Sony executives, the director and representatives of Will Smith, which are quoted in our story, speak for themselves." Concussions have become an extremely thorny subject for the NFL, which has been pilloried for allegedly ignoring a health crisis that has afflicted current and former players. Earlier this year, the NFL reached a settlement with thousands of ex-players who had accused the league of hiding the dangers of concussions. As the Times noted, the NFL has been sensitive about reports concerning concussions among its players. In 2013, ESPN ended its collaboration with PBS's "Frontline" on a documentary that investigated the NFL's handling of concussions after league executives reportedly pressured the sports channel to pull out.